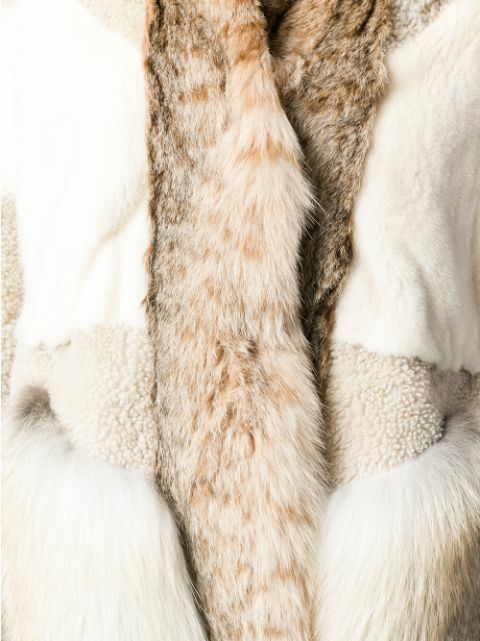 Yves Salomon marries its passion for fur and skins with a modern design approach, allowing it to deliver stunning quality products season after season. 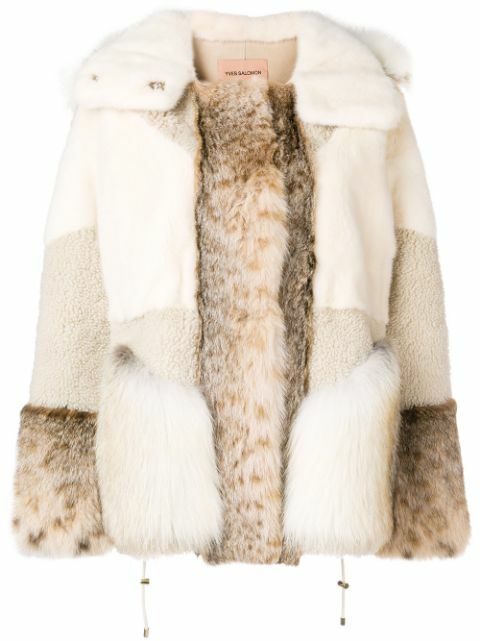 This brown and cream panelled fur jacket is crafted from silk, fox fur, lambskin, mink fur and lynx fur and features a hood, a concealed front fastening, long sleeves, a patchwork design and an oversized fit. Please note that this item cannot be shipped outside the E.U..